Relationship value increases as the level of trust increases between loyal customers and your brand. Trust increases when you use customer data responsibly and deliver relevance through marketing insight. 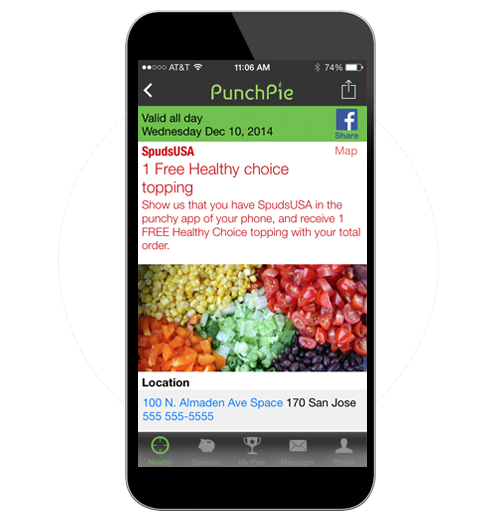 With PunchPie, you will have actionable insights to influence your customers to come back and/or spend more. You can understand your customers based on their number of visits, spend levels, membership status or your own custom defined attributes. Recent Harvard Business Review study revealed that less than 50 percent of retail loyalty program members are considered active. With right customer knowledge, you can reignite your customer strategy – and fan the flames continuously – through data-driven marketing all contained within PunchPie with just few clicks. As per McKinsey Global Institute 2011 – Retailers who harness data well can increase operating margins by 60 percent. With PunchPie you have insight into your promotion’s impact to determine what is working and what is not, so you can instantly adjust on the fly.